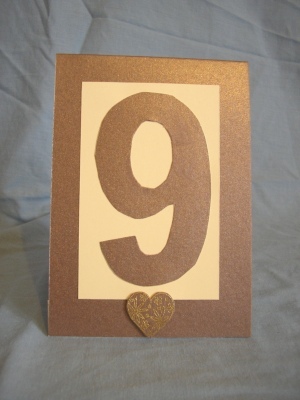 A brown pearescent card with a cream panel containing the brown pearlescent table number Finished off with a brown heart embossed with gold. All numbers are available. A sample is available. other matching wedding stationery is available, just email me for details.